Former Fashion students come back to visit the department. Your College username is a six digit number that is located on your ID badge. This number can be located below the barcode. If you still are unable to access your account your teacher can change it for you or you can visit the IT helpdesk located in the Learning Resource Centre. The IT department cannot change student passwords over the telephone. 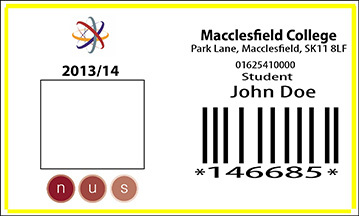 Macclesfield College provides a subsidised bus service for full-time 16-18 year old students at a current cost of £210 per academic year (2014/14 cost). Please note that where a contract service exists for your home area, this is the only service that the college will subsidise for you. No support is provided for students living within 3 miles of the College. All transport information is correct for September 2014-July 2014 at the time of producing, however, routes and pick-up points may be reassessed at any time for operational and efficiency requirements. Each student is required to pay only £210 per academic year for their bus pass (£120 for Autumn term and £90 for Spring Term, Summer Term free). A minimum of £120 is required in September prior to the pass being released. Payment does not guarantee the right to travel - it is the student's responsibility to apply for a pass. If the student does not have a valid pass they will not be permitted to travel. Any campaigns or events that you would be interested in. Do you wish to join the Student Union ? If so come along to Student Services on Tuesday, Wednesday or Thursday lunch times where you will find members of your union waiting to answer any questions. 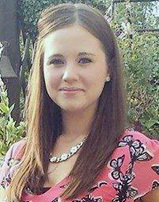 Hi, my name is Helen Hampson and I am your Student Liaison Officer here at the College. 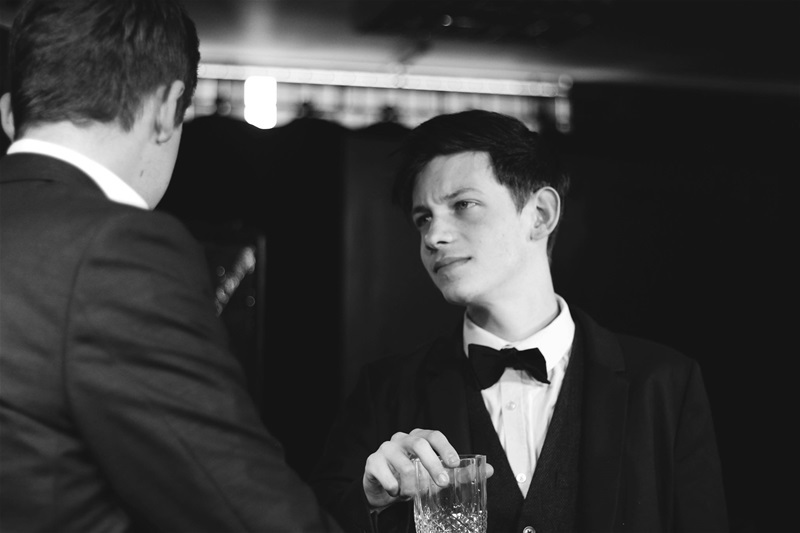 Do you need to let me know of any Student Voice issues? Do you have anything positive or negative to say about your course or the campus? Are you a Course or Curriculum Representative and have a question? Do you (or anyone you know) do anything special outside of College that we can include in the Student Newspaper? Do you have any questions about College life? The regulations that apply to your course depends on the awarding body. For Pearson HNC and HND qualifications and our Admissions Policy please see the College Policies on the main College website. Every year the awarding body appoints an External Examiner/Standards Verifier for each course who ensures your qualification meets their requirements. They discuss the report with the College and send a copy for us to share it with you. We use these reports to continually improve our courses and your experience. By Lead Student Representative Steph Beaden. The College is taking part in a QAA HE Review with the QAA Review team visiting College during the weeks of April 27th 2015 and June 13th 2016. Your views on the College, your course, what you enjoy and what you would like us to improve are important to us. During the week beginning June 13th 2016 you may be invited to meet the HE Reviewers who will ask about your experience at Macclesfield College. You will be with other HE students so don't worry about it, your tutors will keep you informed of the meetings. My role as your Lead Student Rep was to produce a Student Written Submission about what it is like studying for a Higher Education course at Macclesfield College. I gathered your views through meetings and Survey Monkey questionnaires and have now written the report and sent it to the QAA on your behalf, you can read it here. If you have any questions or concerns please contact me or your tutor, or ask at reception to speak to Pam Abbotson (the College HE Manager). 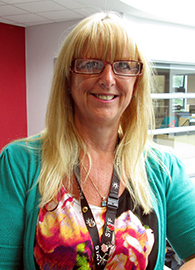 If you need help logging onto your MMU student account please pop into the LRC at College. I'm Steph Beaden, your lead student representative. I have been at Macclesfield College for 4 years now, I completed a BTEC Level 3 in Business, Management & Marketing and then moved onto the Foundation Degree in Business & Management, which I am now in my 2nd year of. Access career and university information in the LRC, ask at the desk for guidance. Book an appointment with our Careers Advisor at the main reception on the ground floor for university and career guidance.